This book is a supplementary Junior Beginner’s course for ages of 6 to 11 year preparing for Level 1. With lots of familiar children's songs (with new harpy wording! ), there are pictures to colour, famous people to meet (e.g. Brian Boru, Carolan) and a great foundation for young players for every method of learning. This is a supporting volume for live lessons with a teacher. 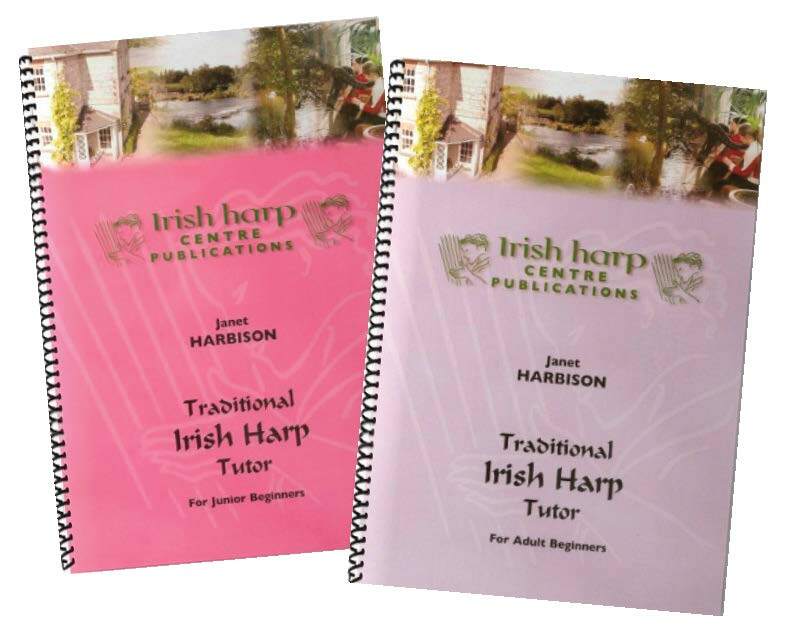 This oral method of instruction is a structured approach to learning the Irish harp for students who do not come from the immersion environment of Irish traditional music. It will teach you to be creative and to ‘participate’ in the ‘language of music’; as in taking part confidently and competently the ‘session’ (social music-making with all instruments) and preparing you for formal solo performance (stage play). Join one of Janet's many Harp Weeks and get set for the great harping adventure!